How to upgrade employee’s work force to improve the GDP? I am surprise to see an article titled as “Sleepy workers are taking a big bite out of GDP” appeared in ‘The Times of India dated 1-12-2016 stating that The UK economy, for example, loses 40 billion pounds a year to sleep-deprived workers who also face a higher risk of death on account of less, say the study that urges employers to build nap rooms for employees. Research firm Rand Europe said the loss equated to 1.86% f the GDP. 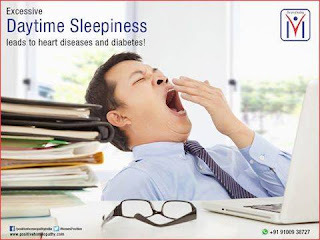 According to the study, the healthy daily sleep range” is between seven and nine hours per night. The study evaluated the economic cost of insufficient sleep in the UK, the, the US, Canada, Germany and Japan. And while the impact of tired workers in the UK may sound bad, it still ranked better than both the US and Japan, which lost the most working days due to a lack of sleep. The US loses 1.2 million working days a year, costing $411 billion or 2.28% of the GDP. Japan loses 600,000 working days a year, $138 billion costing or 2.92% of the GDP. Germany loses 200,000 working days a year, costing $60 billion, or 1.56 of the GDP, while Canada loses 80,000 days a year due to sleep deprivation, which costs it $21.4 billion or 1.35% of the GDP. The report called on employers to recognize and promote the importance of sleep, urging them to build nap rooms. It said they should also discourage staff from ‘extended use” of electronic devices after working hours. Individuals were advised to wake up at the same time each day to improve their sleep. I would like to explain this in a more perspective way that no individual is spared from this global warming affect the brain due to lesser amount of oxygen in the atmosphere is the cause for sleepiness. On top of this electronic devices such as TVs sets, microscope in labs, smartphones, computer monitoring, net browsing, Wi-Fi connection as well as telecom towers. In addition to this artificial intelligence makes it worse for non-using of the brain’s activity can also lead to sleepiness. Even sitting longer hours in air-condition office or under the fan with the table and chair, it invariably affect the vertebral column that reduces the oxygen supply for the brain. Beside this, even climate change plays a havoc globally, seemed to exhaust this brain’s activity at a rapid pace due to lack of oxygen level ppm (in a cubic Metre) in the atmosphere. This rapid exhaustion of the brain’s activity reduces the Gross Development per capita in most of the countries (GDP loss in percentage is given above for some of the countries). This illustration of GDP fall is not there about thirty years ago. To achieve GDP level of growth in this situation. There are two possibilities either globally control the climate change by planting more trees which is not feasible at this stage or increase the level of voltage in the brain through my invented Medical Instrument patented in the year 1998. This is achievable by enhancing the dipole dipole force which is nothing but Higgs Boson particle rendering them to carry more ionize oxygen for the brain. This is the only way to enhance the brain’s activity to keep the developing growth at par level. How freezing ovarian restore fertility in women?